Gaining the trust of online customers is vital for the success of any company that requires sensitive data to be transmitted over the Web. In e-commerce, consumers are very concerned about identity theft, among other things, and are justifiably leery of providing their personal information to untrusted sources. People’s concern is that this data will be intercepted and gathered for malicious reasons. These security risks endanger organizations whose business is primarily done online. 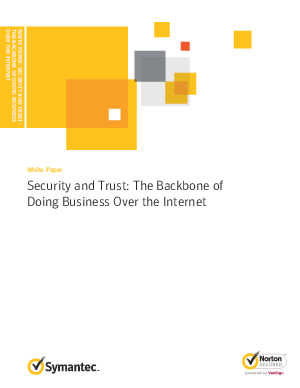 Download this paper to see why security and trust are the backbone of doing business over the internet and see how your organization could currently be missing out.